After a long stop in Ireland, we are now full time nomads again! We are currently in Prague, finishing up a few projects before leaving for SE Asia. Since I’ve finally setup a Facebook page for this new domain and people are actually finding it, I thought I would take a few minutes and tell new visitors what you can expect from this blog in the next few months. Yes, we are back in Prague for the month of September. It’s just too easy to end up here and I couldn’t wait to get out of Ireland and back to somewhere that actually had a cafe that I can work from without distractions. I wrote a lot of posts about Prague on my old blog but decided not to bring them over to this new domain because Prague is really a different city now than it was when I first moved here in 2007. These days, I’m even seeing Prague pop up on lists for “Best Cities for Digital Nomads” and I’m now inclined to agree. While we are back, I am going to try to write a few posts that might help someone looking to move here and work online. In early October, we will be flying back to Thailand. We were there for a few months in 2012 but our trip was cut short by deciding to come back to Ireland for my son to be born, a decision I regretted from the second the plane landed in Dublin. This time I will be free from the pregnancy induced anxiety I experienced every day while living in Bangkok although I expect that I will still be terrified of soi dogs. We will go back to Lonely Beach on Ko Chang for at least a week and then I want to visit another island. Maybe Ko Lanta? Will we visit Cambodia again? One friend has returned to Sihanoukville recently and another is on her way in a few weeks. It is a possibility. Let’s hope they cleaned up the beaches in Sihanoukville. 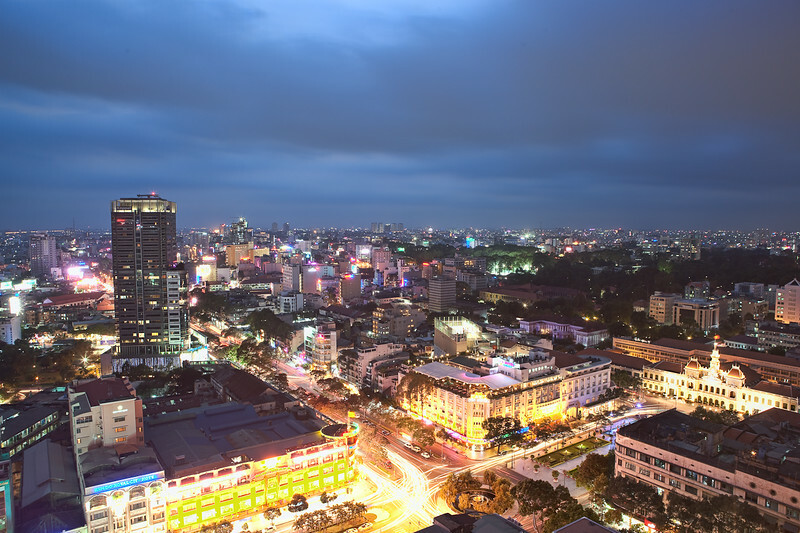 I am beyond excited about trying to live in Ho Chi Minh City for at least three months. I spent a long, lonely year in Ireland listening to podcasts about living in HCMC. Knowing that there were other entrepreneurs out there running online businesses and travelling, gave me something to look forward to when everyone around me just gave me blank looks when I talked about location independent business or building an app. I haven’t read about many other families with a young child picking up and moving to SE Asia to work on an online business. Most of the blogs I’ve come across are young guys in their 20s with no real ties. Let’s see if it is also possible to live a location independent lifestyle with a toddler in tow! The Philippines are certainly on my radar, so is Indonesia. I’m leaving the future open to all possibilities. At some point, we will return to Europe for the summer and finally make our way to Madrid. Anything is possible. The Philippines is on my list too! Especially the Palawan area. The Indonesian side of Borneo sounds fantastic as well, not to mention the diving and the fauna the country offers. Hope your trips go great. I shall now return to making more travel plans!